Your Toshiba laptop keyboard is not working? Don’t worry. This is a common issue and you can easily fix the keyboard not working issue in Toshiba laptop. How do I fix Toshiba keyboard not working on laptop? 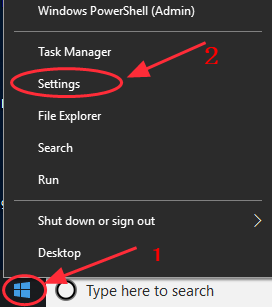 Note: the screenshots below come from Windows 10, but the fixes also work on Windows 8.1 and Windows 7. Your Toshiba laptop keyboard may have been accidentally disabled, and that’s why your Toshiba laptop keyboard is not responding or typing at all. So you should re-enable your laptop keyboard to fix the problem. The way to enable your Toshiba laptop keyboard may vary from different laptop models, so you can consult to your manufacturer if you’re not sure how to enable your laptop keyboard. For example, many people can press and hold down the Shift key for about 10 seconds to re-enable the keyboard. 4) Double click Keyboard to expand it. 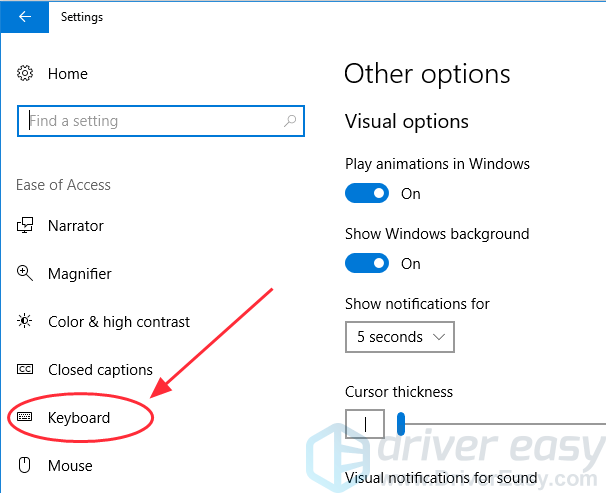 5) If you see the arrow icon next to your keyboard, right click on your keyboard and select Enable device to enable your laptop keyboard. 6) Try your Toshiba laptop keyboard again to see if it works now. If your keyboard works now, then you have found and fixed your laptop keyboard issue. If not, don’t worry. We have other solutions to try. 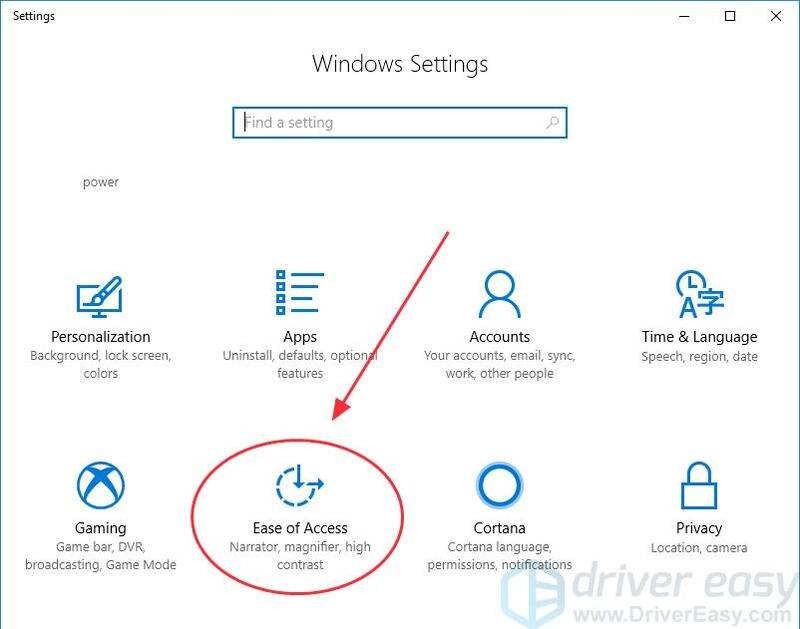 6) After uninstalling, restart your Toshiba laptop and your Windows will reinstall the device driver automatically for you. Then check if your keyboard works now. The missing or outdated keyboard driver can also lead to your Toshiba laptop keyboard not working issue, so you can update your laptop keyboard to fix the problem. 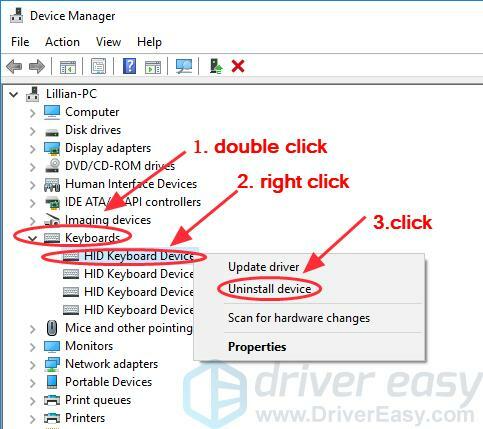 You can manually download the latest version of you keyboard driver from the keyboard manufacturer, and install it in your Windows laptop. This requires time and computer skills. 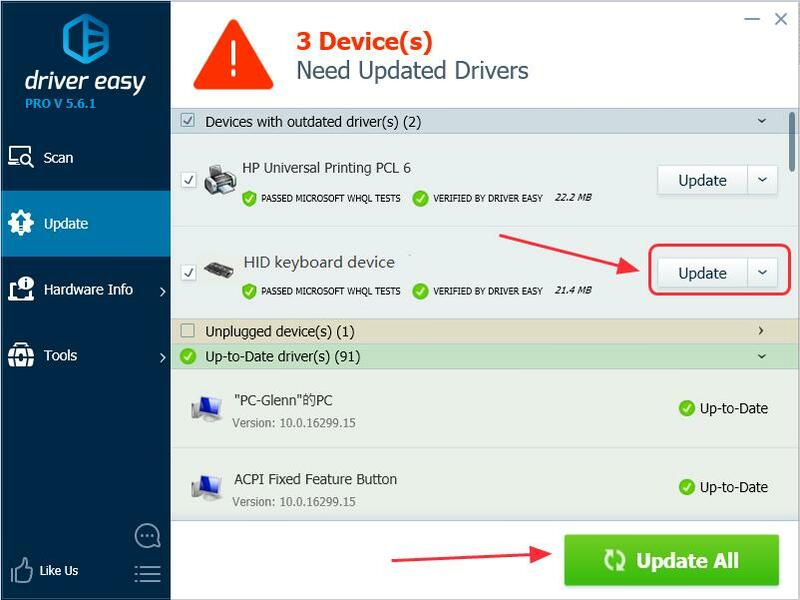 3) Click the Update button next to the flagged keyboard device name to automatically download and install the correct version of the driver (you can do this with the FREE version). 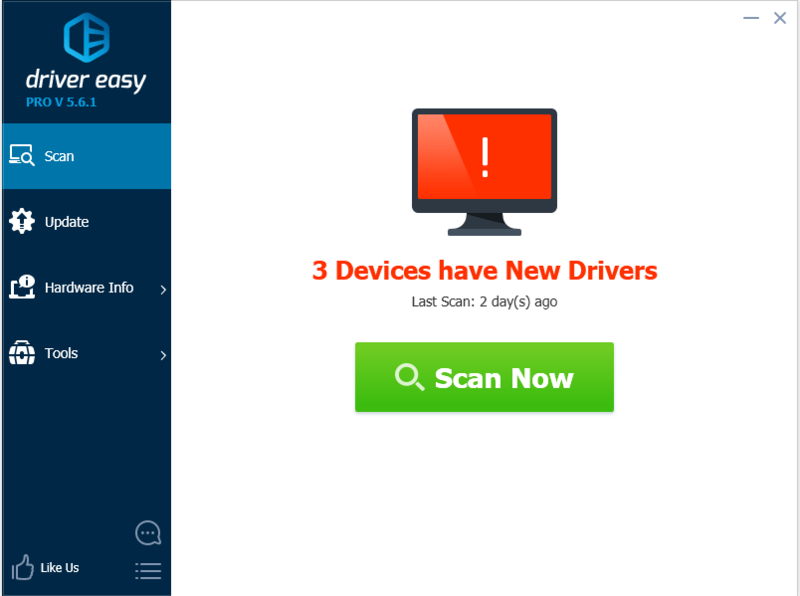 Now try your keyboard again to see if it works. Still no luck? OK. There’s one more thing to try. 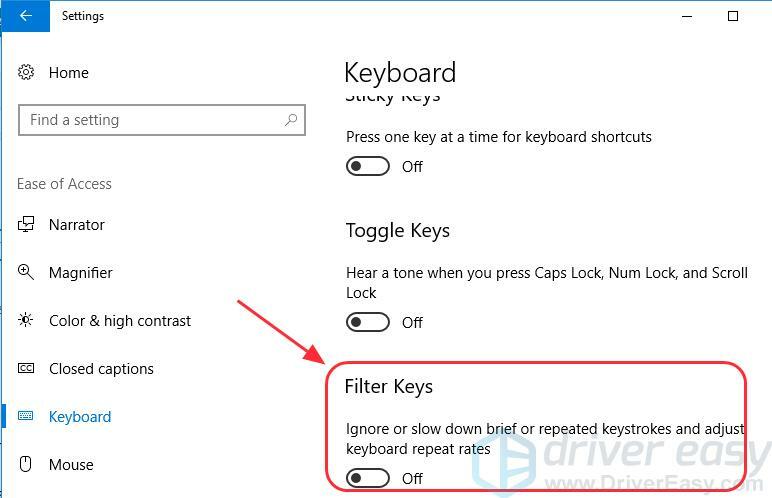 Filter Keys enables you to control the pace of repeated keystokes and slow down the acceptance of keystrokes if required, in order to make typing easier for users. 5) Restart your laptop and check if your keyboard works on your Toshiba laptop. That’s it. Hope this post helps in resolving your Toshiba laptop keyboard not working issue. If you have any questions, feel free to leave a comment below and we’ll see what more we can do to help.